Low-level triggered will allow the current to go through the power line when the control signal is below a certain voltage. High-level triggered will allow the current to go through the power line when the control signal is above a certain voltage. 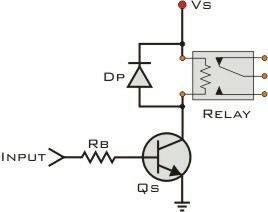 A mechanical relay needs current to pass through its bobin to trigger. If you wire one end of the bobbin at V+ then you trigger it by driving the other end low, if you wire the first end av 0V/GND, then you trigger it by driving the other end High. So the relay itself doesnt care if its High or Low trigger (thats why I asked if it was a mechanical or solid state, and the part link). The link that you posted however, shows a relay module with a transistor driver. In such cases, depending on the transistor and configuration you use you can have specifically high or low level triggers. However, there is another catch. That relay has both NO (Normally Opened) and NC (Normaly Closed) pins. This means that when a relay is not triggered, the NO pin is opened (not connected) and the NC is shorted to the common. When a relay is triggered, the switch bounces and NO becomes closed (connected) and NC becomes opened (disconnected). Which means that.. when that relay is triggered, depending on how you wire it, you can have it conducting or not. So.. answer is: you are partially correct and the rest can be correct depending on how you wire it..
You can state the meaning somewhat more generally so it applies to more situations. High = supply voltage (usually Vcc or Vdd) = logic 1 = logical true. You use the (sensible enough) "current goes through the power line" as a indication of triggering. Other results may equally qualify. "low level trigger" means "desired action occurs or is commenced or is triggered or ... when the control signal is 0 / false / ground. "high level trigger" means "desired action occurs or is commenced or is triggered or ... when the control signal is 1 / true / Vcc or Vdd. And also allows for the desired outcome being a negative one. eg motor is turned off by safety switch when a high level signal is received. - ie here the removal of voltage and current occur with the application of a high level trigger signal. Not the answer you're looking for? Browse other questions tagged arduino relay or ask your own question. What relay for high power circuit, low power controller? Relays with NC and NO connections: does high vs low matter? How does the high inrush relay handle the inrush current?